Do Hedge Funds Love Rogers Corporation (ROG)? Legendary investors such as Leon Cooperman and Seth Klarman earn enormous amounts of money for themselves and their investors by doing in-depth research on small-cap stocks that big brokerage houses don’t publish. Small cap stocks -especially when they are screened well- can generate substantial outperformance versus a boring index fund. That’s why we analyze the activity of those successful funds in these small-cap stocks. In the following paragraphs, we analyze Rogers Corporation (NYSE:ROG) from the perspective of those successful funds. Hedge fund interest in Rogers Corporation (NYSE:ROG) shares was flat at the end of last quarter. This is usually a negative indicator. At the end of this article we will also compare ROG to other stocks including Concordia Healthcare Corp (NASDAQ:CXRX), Q2 Holdings Inc (NYSE:QTWO), and OSI Systems, Inc. (NASDAQ:OSIS) to get a better sense of its popularity. How are hedge funds trading Rogers Corporation (NYSE:ROG)? At Q3’s end, a total of 19 of the hedge funds tracked by Insider Monkey held long positions in this stock, same as in the previous quarter. 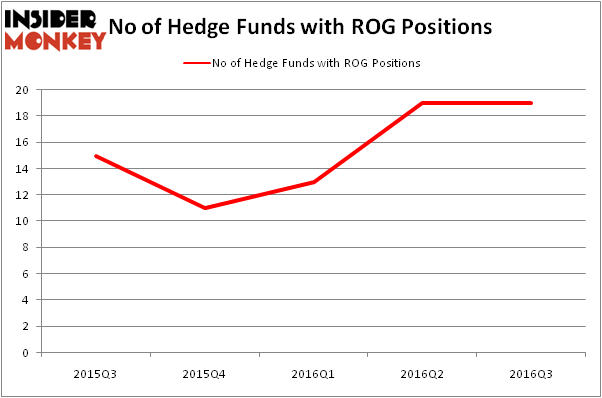 On the other hand, there were a total of 11 hedge funds with a bullish position in ROG at the beginning of this year. So, let’s check out which hedge funds were among the top holders of the stock and which hedge funds were making big moves. According to Insider Monkey’s hedge fund database, Daruma Asset Management, led by Mariko Gordon, holds the most valuable position in Rogers Corporation (NYSE:ROG). Daruma Asset Management has a $46.5 million position in the stock, comprising 2.8% of its 13F portfolio. On Daruma Asset Management’s heels is ACK Asset Management, led by Richard S. Meisenberg, holding a $19.5 million position; 5.9% of its 13F portfolio is allocated to the stock. Other members of the smart money that hold long positions consist of Jim Simons’ Renaissance Technologies, Chuck Royce’s Royce & Associates and Charles Paquelet’s Skylands Capital. We should note that none of these hedge funds are among our list of the 100 best performing hedge funds which is based on the performance of their 13F long positions in non-microcap stocks. Is WebMD Health Corp. (WBMD) A Good Stock To Buy? Should You Buy BJ’s Restaurants, Inc. (BJRI)? Infosys Ltd ADR (INFY): Are Hedge Funds Right About This Stock? 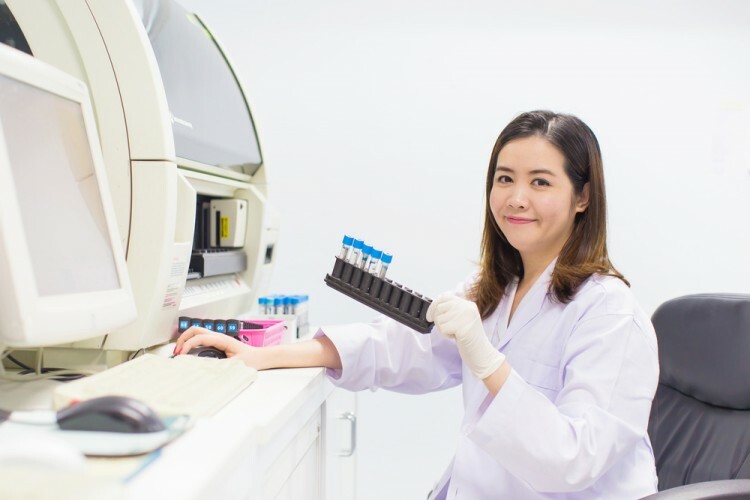 How Big Lots, Inc. (BIG) Stacks Up To Its Peers Biotech Movers: Heat Biologics Inc (HTBX) And Achaogen Inc (AKAO) Has Hedge Fund Ownership in Welltower Inc. (HCN) Finally Bottomed Out?